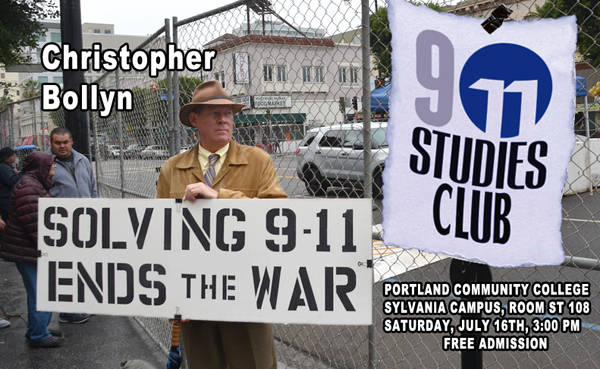 Saturday, July 16th, the 9/11 Studies Club hosted guest speaker Christopher Bollyn at Portland Community College where he discussed the predicament Americans face with a two-party system in which both try to out-do each other to show support for the massive fraud known as the War on Terror. Bollyn, author of “Solving 9/11: The Deception that Changed the World”, traveled through the Middle East and studied the region’s history and languages before earning a degree from the University of California at Santa Cruz with an emphasis on the history of the Israeli-Palestinian conflict. Having worked as an independent investigative journalist from 2000-2006, Bollyn spent a great deal of time investigating the events of 9/11. In 2007, after having been attacked by undercover police at his home and forced into exile, he began writing “Solving 9-11”, which is dedicated to explaining what really happened and bringing the events of 9-11 into historical perspective. PCC 9/11 Studies Club is an education and outreach effort serving students, faculty and the community. 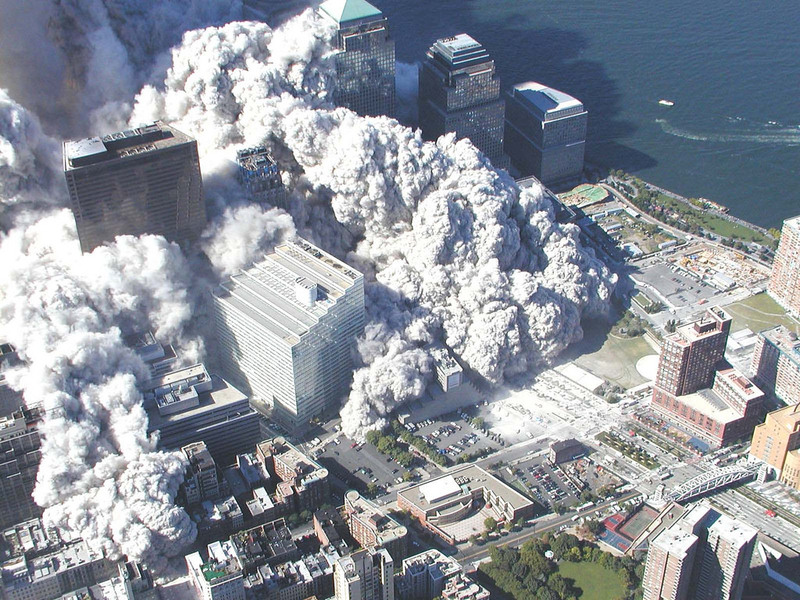 Their current mid-term lecture and discussion series is entitled “9/11, Look for Yourself”. All meetings are free of charge and open to the public on select dates. Our meetings are usually held on Saturdays at 3:00 PM at the same location, which will have free parking. Check the website schedule for scheduled events.